Now here is a producer & a DJ who just can't stop smiling, and i have never encountered such a joyful man on the scene. He was one of the first DJ's that sprung out alongside Doc L. Junior and Bjørn Torske and brought forward one of the first houseclub in my city called "Yaz'n" that has to be the smallest club in the world with a capasity of 50-60 people. Amazing! He, Doc L, Bjorn Torske and others also ran "Brygga Radio" in the early 90's, the most craziest radio channel this city have seen. His DJ sets are always unpredictable. He could either play a deep, dubby downtempo disco set or a wild, crazy electronica mashup, or even both. Whatever he's outcome are he blows your mind. And he always get the girls on the floor first. 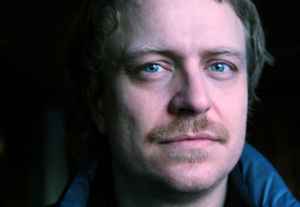 He is also one of the few norwegian DJ's who landed a gig in New York, kudos for that. You are an amazing guy Rune. Thanks for returning home frequently and deliver the goods.